(2) It establishes personal injury protection (PIP) benefits to pay for certain losses resulting from an accident. (1) If you are a resident of Florida and own a motor vehicle, you are required to purchase PIP. You are covered by PIP if you are the named insured. You, the insured, are covered by PIP while driving your vehicle or when a passenger in another's vehicle. You are also covered while outside a motor vehicle if struck and injured by a motor vehicle. (2) Resident relatives who live with you, the insured, may be covered by your PIP benefits while they are driving your car, as passengers in your or another's car, and while pedestrians if struck and injured by a motor vehicle. (3) Others who are injured while driving your insured motor vehicle or who are injured while a passenger in your insured motor vehicle or who are injured as a pedestrian when struck by your insured motor vehicle may be covered by your PIP. (4) If you or your insured relatives living with you are injured while outside Florida, and are in your insured motor vehicle, you and your insured relatives are covered under PIP as long as the injury occurs within the United States, its territories or possessions, or in Canada. motor vehicle required to be licensed in Florida, they are not covered by your PIP coverage. They must purchase PIP for themselves to have coverage. (1) For injury sustained by any person operating the insured motor vehicle without your express or implied consent. (b) being injured while committing a felony. (3) For injuries sustained by the named insured and relatives residing in the same household while occupying another motor vehicle owned by the named insured and not insured under the policy. The minimum limit for no-fault personal injury protection benefits is $10,000 per person for loss sustained as a result of bodily injury, sickness, or disease ($5,000-death) arising out of the ownership, maintenance, or use of a motor vehicle. PIP pays 80 percent of medical benefits for all reasonable expenses for medically necessary medical, surgical, X-ray, dental, and rehabilitative services, including prosthetic devices, wheelchairs, crutches, slings, neck braces and splints. Medically necessary ambulance, hospital and nursing services are covered, and benefits also are paid for necessary remedial treatment and services recognized and permitted under the laws of the state for an injured person who relies solely upon spiritual means through prayer for healing because of religious beliefs. Note: if you have medical payments coverage through your auto insurance policy, then the medical payments coverage will be secondary to PIP coverage. The excess medical expenses, the 20 percent not covered by PIP, and the deductible may or may not be covered by the additional medical payments coverage depending on your particular policy. 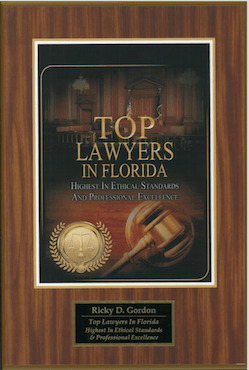 Florida Statutes provide that with respect to any treatment or services, other than certain hospital and emergency services, the statement of charges furnished to the insurer by the provider may not include, and the insurer and the injured party are not required to pay, charges for treatment or services rendered more than 35 days before the postmark date of the statement, except for past due amounts previously billed on a timely basis, and except that, if the provider submits to the insurer a notice of initiation of treatment within 21 days after its first examination or treatment of the claimant, the statement may include charges for treatment or services rendered up to, but not more than, 75 days before the postmark date of the statement. The insured has a responsibility to furnish the provider with the correct name and address of the personal injury protection insurer. Failure to do so may result in delayed reimbursements to the provider. At your initial treatment or service provided you will be required to sign a disclosure and acknowledgement form stating that the services were actually rendered, it is your right and duty to confirm that those services were rendered, you were not solicited to seek services from the provider, the provider explained the services, and if you notify' the insurer of a billing error you may be entitled to a share of the insurer's savings. PIP pays 60 percent of disability benefits for any loss of gross income and loss of earning capacity from inability to work because of an injury sustained in an accident. Disability benefits also cover all expenses reasonably incurred for household services that, if not for injury, the injured person would have performed. Benefits must be paid not less than every two weeks. PIP pays up to $5,000 of available benefits per individual in death benefits. The insurer may pay such benefits to the executor or administrator of the deceased, to any of the deceased's relatives, including those related by marriage, or to any person appearing to the insurer to be equitably entitled to the payment. 1. Persons subject to deductibles may be able to recover the amount of the deductible from a tortfeasor otherwise exempt from liability under Section 627.737, F.S. 2. Deductibles must be applied to the entire amount of any expenses and losses described under required personal injury protection benefits. After the deductible is met, each insured is eligible to receive up to $10,000 in benefits. Thus, for instance, an insured with a $1,000 deductible would have to incur $13,500 in medical expenses (assuming no disability or death benefits) in order to receive the entire $10,000 in benefits [($13,500- $ 1,000) x 80%]. 3. Deductibles of $250, $500 and $1,000 must be offered but may not be required. 4. You may have elected that the benefits from loss of gross income and loss of earning capacity (disability benefits) be excluded from your PIP benefits. PIP benefits are primary over other insurance coverage, except that workers' compensation benefits received will be credited against PIP benefits. This means that your PIP insurer is ultimately responsible for payment of your claim. How this works in a specific situation depends upon the contract language in the other insurance policy. PIP benefits will be payable as loss accrues and reasonable proof of the loss and the expenses are provided. Before PIP benefits are paid, an insurer may require written notice be given as soon as possible after an accident involving a motor vehicle. PIP benefits are overdue if not paid within 30 days after the insurer is provided written notice of a covered loss and of the total amount of the claim. If a partial claim is made, that partial amount must be paid within 30 days after the insurer receives written notice. Any part, or all of the remainder, of the claim that is later supported by written notice is overdue if not paid within 30 days after such written notice is furnished to the insurer. However, any payment shall not be deemed overdue when the insurer has reasonable proof showing that the insurer is not responsible for the payment even though written notice has been furnished to the insurer. For the purpose of calculating overdue payments, payment is considered as being made on the date it was postmarked or, if not posted, on the date of delivery. All overdue payments will pay simple interest at the rate established in your policy, or pursuant to s. 55.03, F.S., whichever is greater. WHAT DO I DO TO RESOLVE DISPUTES REGARDING PIP BENEFITS? (1) In the event you are having a dispute with the insurer for PIP benefits, you may demand mediation of the claim before resorting to the courts by filing a request with the Department of Financial Services "Department" on Form DFS-H2-510 provided by the Department. 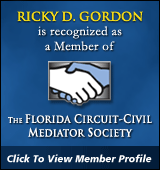 (2) Mediation is an informal process whereby a neutral mediator selected by the Office will work together with you and the insurer to resolve the dispute. You may reach the Department at a local service office or call 1-800-342-2762. 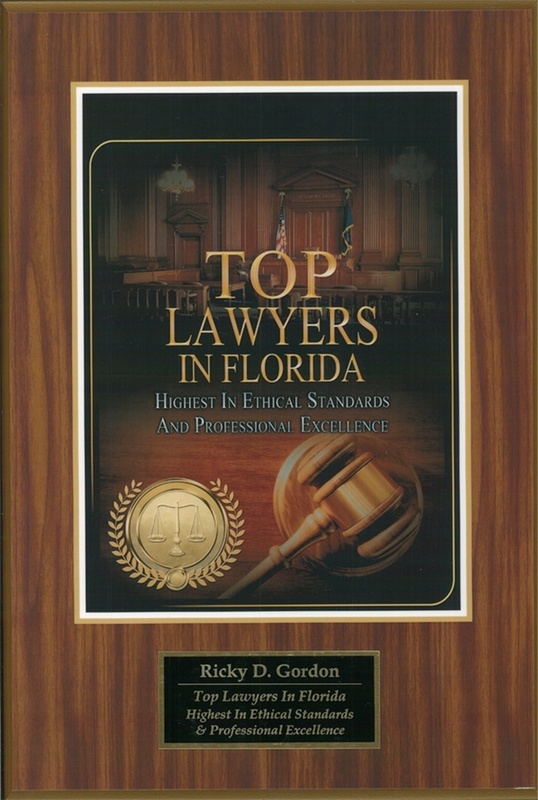 PLEASE NOTE: This description of your rights contains general statements and should not be construed to enhance, alter, or amend your rights under your policy and Florida law. If you have been injured on the job or due to someone else's negligence, call us at 1-800-329-0201 or contact us online.